Marvellous book about the American mercenaries in Central America, serving United Fruit and various dictators. A little known chapter of Americas manifest destiny. 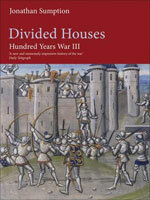 The first volume of Jonathan Sumption's monumental history of the Hundred Years War. The second volume of Jonathan Sumption's monumental history of the Hundred Years War. The third volume of Jonathan Sumption's monumental history of the Hundred Years War. 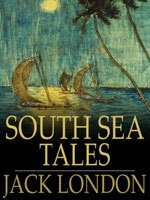 A great thrilling novel about a swashbuckling adventurer in warlord China. Excellent reading stuff for holidays or better while traveling. Despite I'm no great fan of historical novels this is one of my favourite books. Maybe it's because of Bengtsson's dry-witted slightly ironic style, which reminds a little of the old Nordic sagas. But Bengtsson isn't only an excellent writer, he knows also history very well and gives nearly a complete overview of the military exploits of the Viking world, where mercenary service played an important role. In the first part of the book some Vikings are captured by the Moors in Spain and are serving later in the bodyguard of the emir of Cordova, the great al Mansur. In the second part covers the so called "eastern way" to Byzantium where many Vikings served the Emperors in the Varangian guard. A great and very entertaining book. Abandoned by both his Irish father and Congolese mother, Bruno Salvador has long looked for someone to guide his life. He has found it in Mr. Anderson of British Intelligence.Bruno's African upbringing, and fluency in numerous African languages, has made him a top interpreter in London, useful to businesses, hospitals, diplomats-and spies. Working for Anderson in a clandestine facility known as the "Chat Room," Salvo (as he's known) translates intercepted phone calls, bugged recordings, snatched voice mail messages. When Anderson sends him to a mysterious island to interpret during a secret conference between Central African warlords. Without any doubt Cormac McCarthy's nightmarish masterpiece counts among the greatest novels of the Twentieth Century. McCarthy shows the brutal violence behind the conquest of the West, in regions where the thin border between civilization and atavistic rites disappears. But it's also a novel about the mercenaries and adventurers so typical for the so called Manifest Destiny. Many of the events are historical and based on the Glanton Gang, a band of outlaws and scalp-hunters, who killed Indians in the Mexican borderlands during the late 1840's in the pay of the Mexican goverment. Therefore the novel tells a lot about all these small dirty wars which where so omnipresent in history. One of the best books I read about warfare and the men who pursue this trade. The White Company is a historical adventure by Arthur Conan Doyle set during the Hundred Years' War. The story is set in England, France, and Spain, in the years 1366 and 1367, against the background of the campaign of Edward, the Black Prince to restore Peter of Castile to the throne of the Kingdom of Castile. Despite the real persons who are mentioned all over the book, it's a bad romantic contruct, which has absolutely nothing to with the real events. Probably one of Conan Doyle's worst books! !